Customer Picture Number 489 Selected. Cool Car decals applied. Melanie's custom two layer vinyl decals. 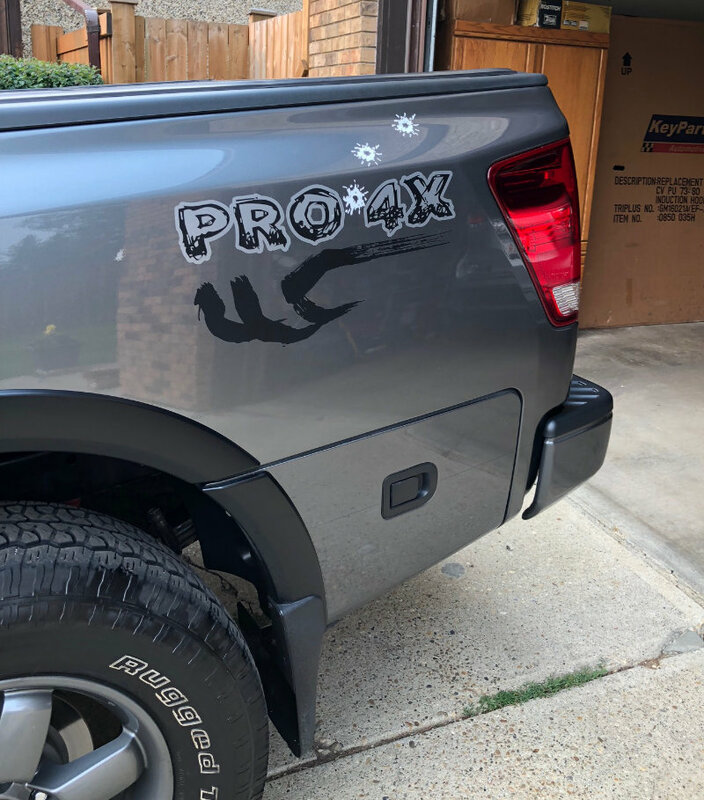 These 4x4 Pro-X decals and bullet-hole graphics were made with black and ultra metallic silver vinyl. Looks fabulous on the charcoal grey truck. Thanks for the shot, Melanie!